Waffles are a much-loved part of everyone’s breakfast. 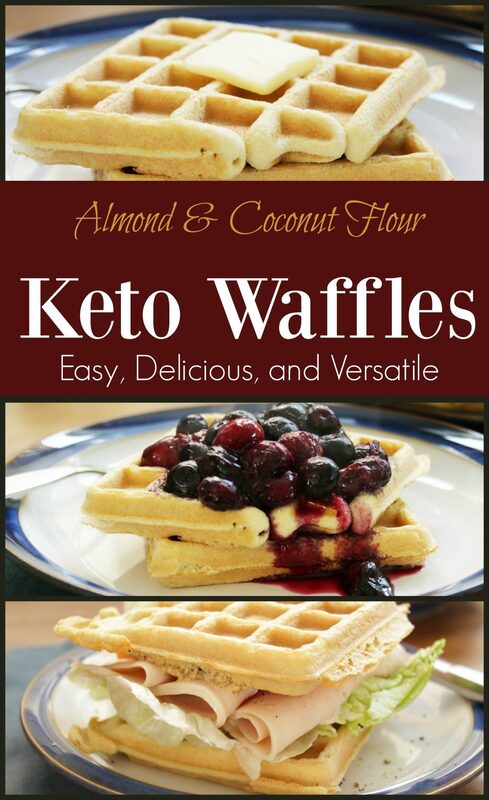 These coconut and almond flour waffles are made to be high fat and low carb, so they are suitable for the keto diet! These keto waffles are made weekly or more often in our house, and spread with almond butter and chia jam for school lunches. 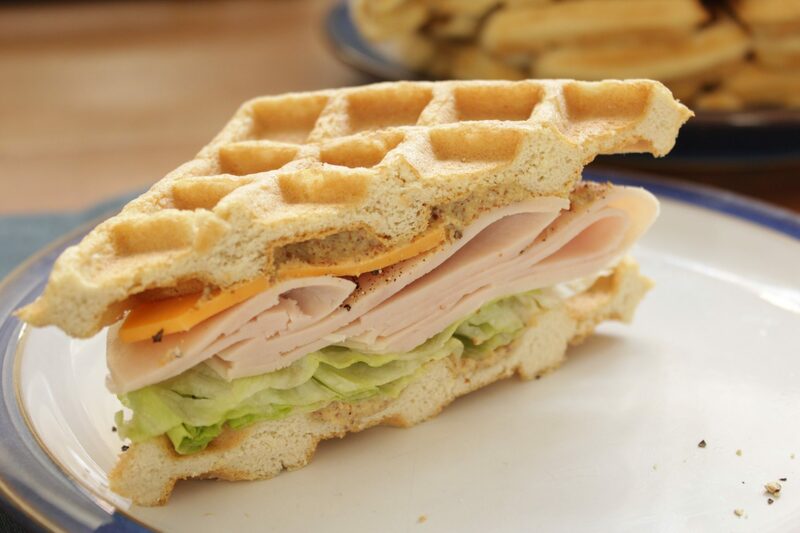 If you’ve been missing sandwiches on keto, waffles are also perfect with sliced turkey, homemade mayo, mustard, and lettuce for a more grownup lunch. 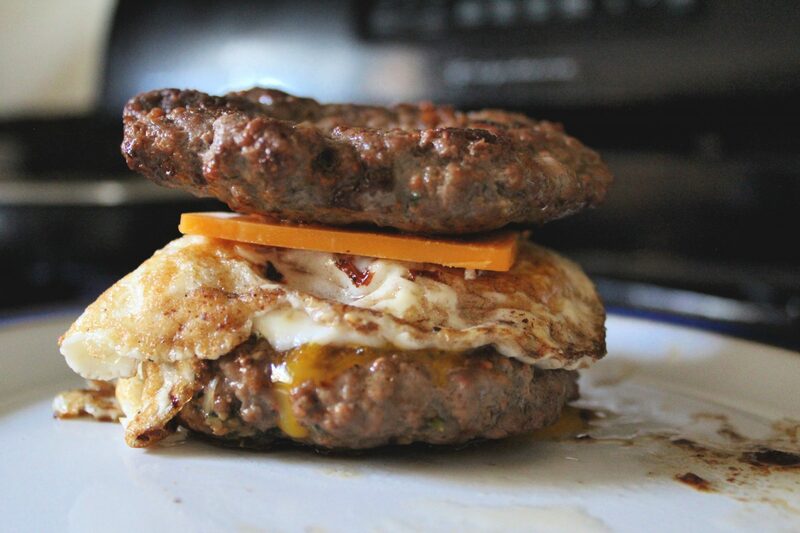 This recipe is one that my ‘non keto kids’ also love, simplifying breakfast for everyone. We top with butter and chia jam often. Or for a special treat, we whip heavy whipping cream and add in a little monkfruit sweetener and vanilla and use that on top. 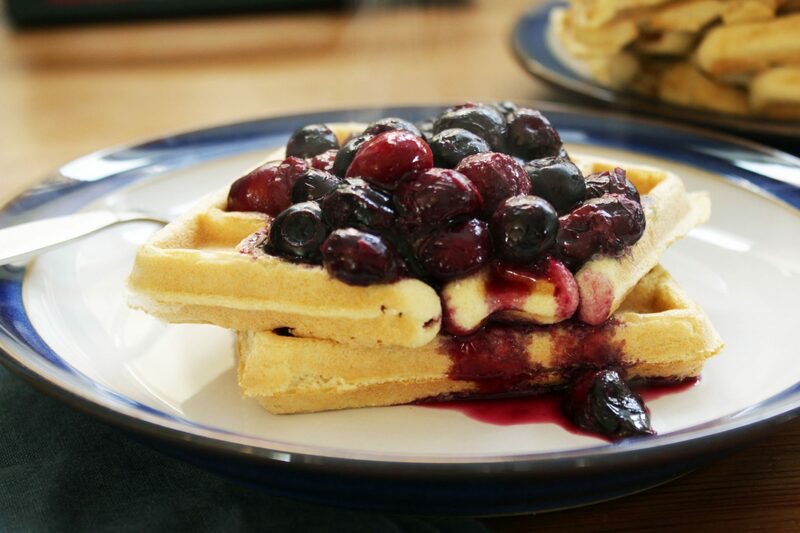 Later in the week, these waffles can toast right in the toaster for fast breakfasts. 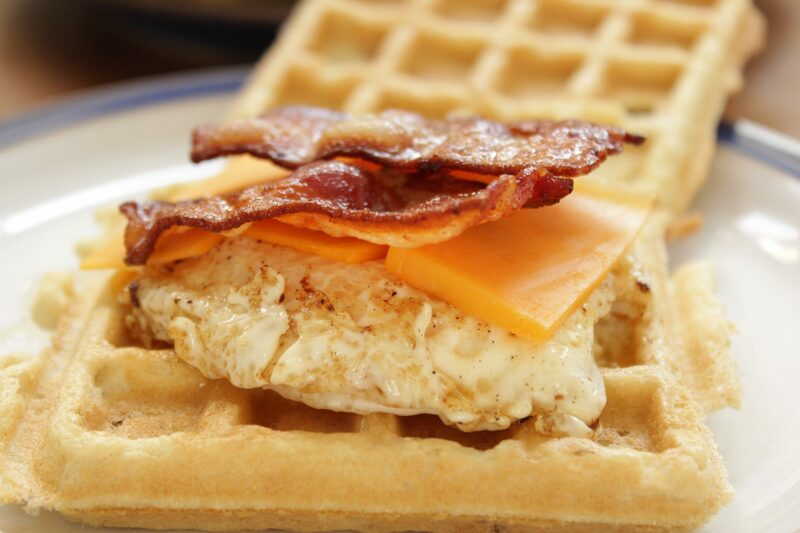 From there, the waffles can be the ‘bread’ in a breakfast sandwich with a fried egg, cheese, and bacon or sausage. The texture and ability to hold fillings really makes these waffles a fantastic addition to our keto diet. 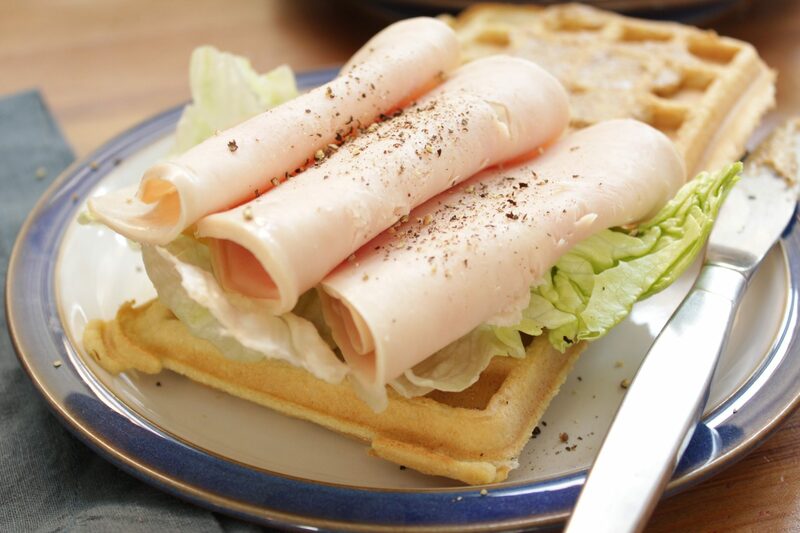 I like this waffle maker for making these, as 2 squares make a perfectly sized sandwich. Combine almond flour, coconut flour, eggs, sweetener, water, apple cider vinegar, baking soda, sea salt, and optional xanthan gum in a blender and blend until smooth, adding more water or liquid as needed until batter is pourable and slightly thicker than buttermilk. Allow the batter to set as the waffle maker preheats (at least 5 minutes). Preheat waffle maker to medium-high if yours has a setting. Use cooking spray (we like avocado oil) or butter to grease the waffle maker- do not skip this step even if your waffle maker claims ‘non stick’! 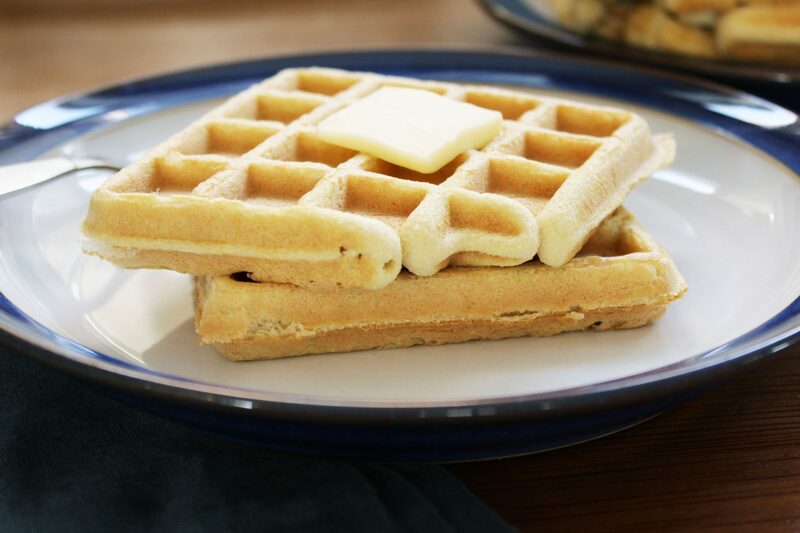 Pour waffle batter in the waffle maker, evenly over the middle 50%. The batter will expand out when closed. 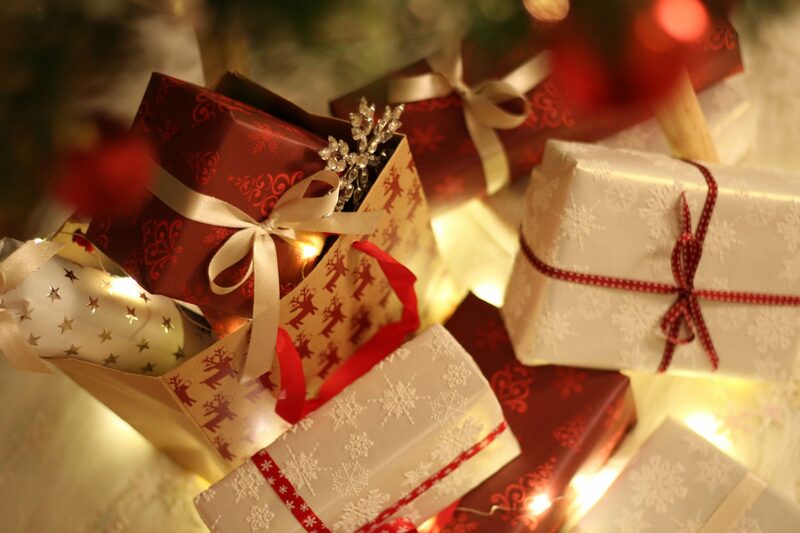 Allow to rest on the bottom before closing about 20 seconds. Close and cook as usual. The amount of waffles made and the amount of batter per waffle will depend on the size of your waffle maker. Re-grease waffle maker with spray every 2-3 waffles. 4 g net carbs per 1/8th of the recipe. Makes 8 servings.